The impact of AMR on our life is real and very important. Let’s have a look at the estimated figure that O’Neill has reported. At present, AMR cause death to 700,000 cases per year, more than haft that traffic accident made. In about the next 30 years, the death caused by AMR may increase more than 10 fold at meet the figure of 10 million, even higher than death due to cancer. Research on AMR will contribute to the understanding of the mechanism that the bacteria develop and transfer their resistance, the prevalence and level of resistance among bacterial population and the association between the use of antibiotics and resistance and so on. This review has been made from the data of 33 articles within 10 years. Majority of articles published susceptibility results of pathogens from the sick animals. The rest was about bacteria from the healthy animal, carcass, meat, milk and the environment. The research was conducted mainly in South and North of Vietnam where the animal farms and veterinary institutes were allocated. The research relating to AMR in Vietnam contributed to the change in the legislation as well as the practice of antibiotic use in animal husbandry. Vo Thi Tra An has completed her Ph.D. at the age of 33 years from Utrecht University and appointed the title Associate Professor at the age of 40. She is the Head of Veterinary Biosciences Department in FACVM, Nong Lam University. She has published 60 papers in local and international journals. She has been granted for several projects relating to AMR by international organizations. 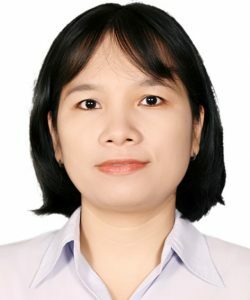 She is now a lecturer in Nong Lam University and has been serving as an editorial board member of Journal of Agriculture and Development.